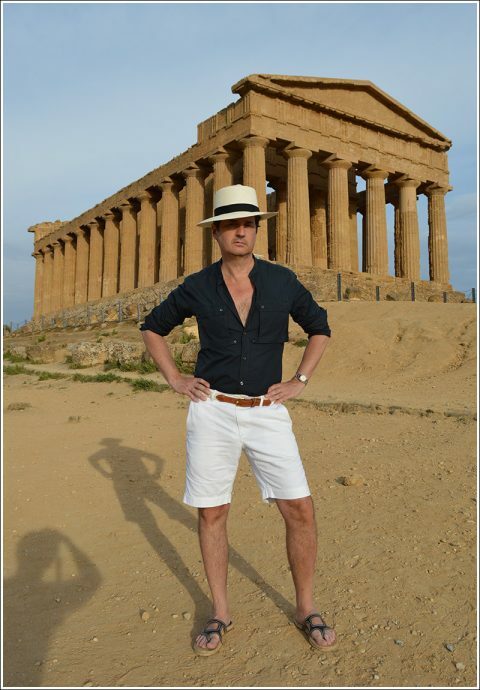 Sicily – WHAT IS JAMES WEARING? 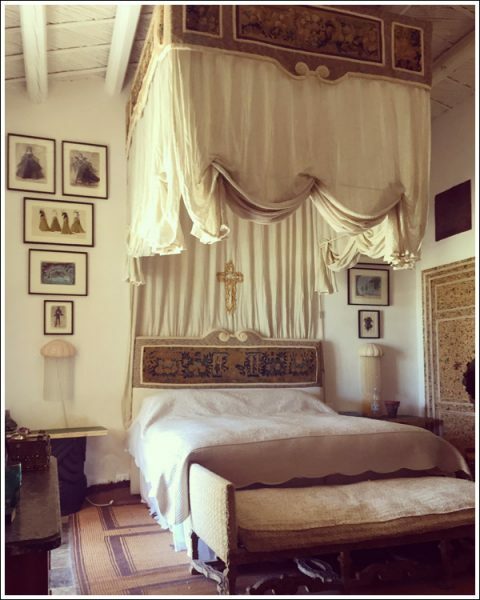 Our sublime Sicilian adventure ended all too soon…. After Noto we stopped in Catania for a private tour of Palazzo Biscari and some general sightseeing. Then on to our final destination, Taormina, where the legendary Belmond Grand Hotel Timeo welcomed us. 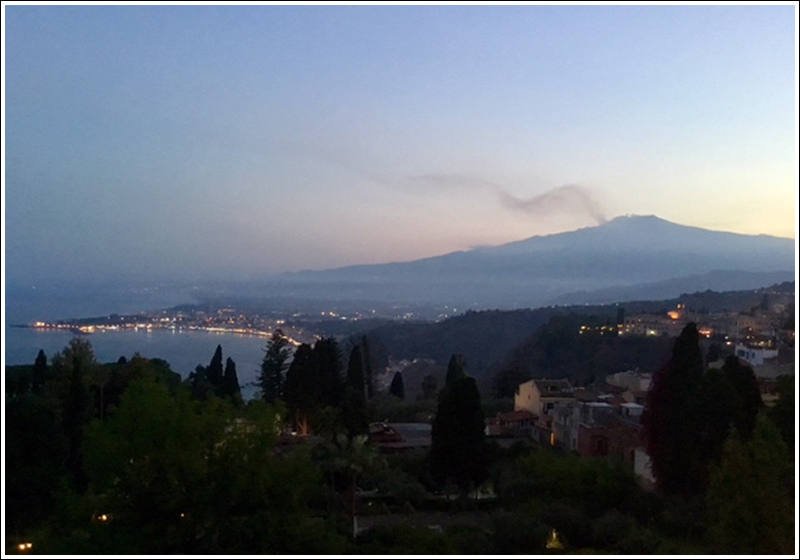 Perched atop the hills of Taormina, the hotel offers stunning views of Mount Etna and the Sicilian coast. With only one day to bask in the beauty and luxury of the Hotel Timeo we actually barely left the property (apart from a 2 minute walk to a lovely ancient Greek theater). We enjoyed cocktails at the hotel while being blessed with the most sensational sunset. The cuisine was beyond divine – and our wine sommelier shared with us wonderful and unusual Sicilian wines paired with each course. All the meals were served al fresco on a beautiful terrace, and the memory of the glimmering lights dotting the Sicilian coast at dinner, remains emblazoned in my mind. It goes without saying that there is still so much of Sicily for us to discover, and we will simply have to return. En route back to New York we were hosted by Palazzo Dama in Rome, which provided a brilliant base of operation for two days in Rome. After a superb luncheon poolside we went for a bit of a stroll. Rome is perfect for strolls, with stunning sights and a deep sense of its history at every turn. 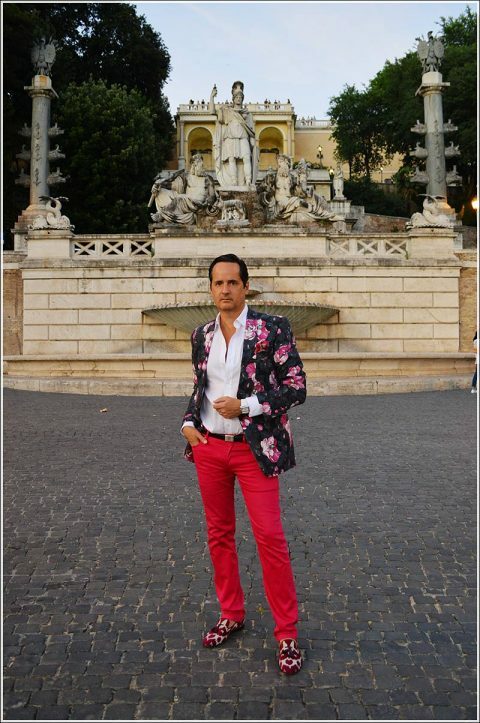 James Andrew – Piazza del Popolo. We had dinner at the renowned Dal Bolognese. It’s really a Roman institution, serving an elegant take on classic Italian cuisine. On our last day we went to check out the flea market which was quite disappointing, but a wonderful luncheon offered a perfect way to forget the experience. Then a bit further afield, we visited the iconic Hadrien’s Villa (Hadrien’s tribute to his young lost lover Antinous who died in Egypt) which McBee and I were eager to see – needless to say, there’s a reason that it’s featured in so many design and architecture books! We treated ourselves to a farewell dinner at Pier Luigi, another favorite of ours. In operation since 1938 it has been a classic old-school haunt for the chic set. Located at the edge of a handsome piazza in the heart of Rome, dining al fresco there is indeed a treat. For our farewell dinner in Taormina (top) I am sporting a Tom Ford linen and silk floral dinner jacket, pink and white cotton check shirt, Cartier Tank Divan watch, KJP woven white cotton belt, Tom Ford fuscia and ivory silk pocket square, ikat velvet slippers, Uniqlo white jeans, and my fragrance Tom Ford Neroli Portofino. Note how I wore only one dinner jacket throughout the trip. 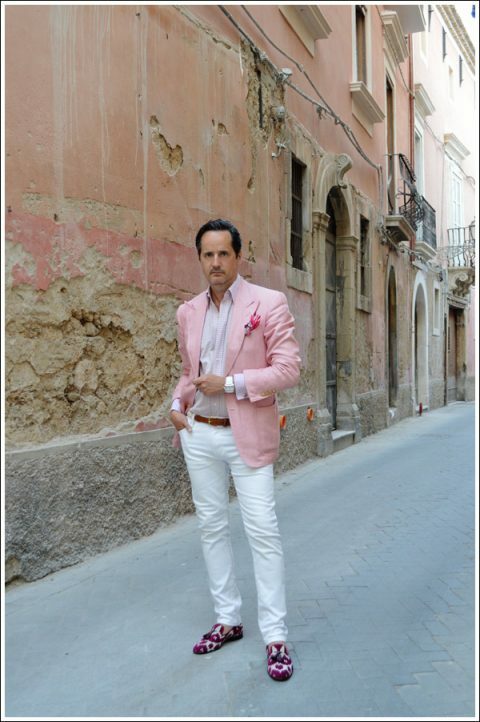 It’s always good idea to pack things that are versatile: I paired it with black linen pants, white jeans, and shocking pink jeans as well – a trifecta of different looks! 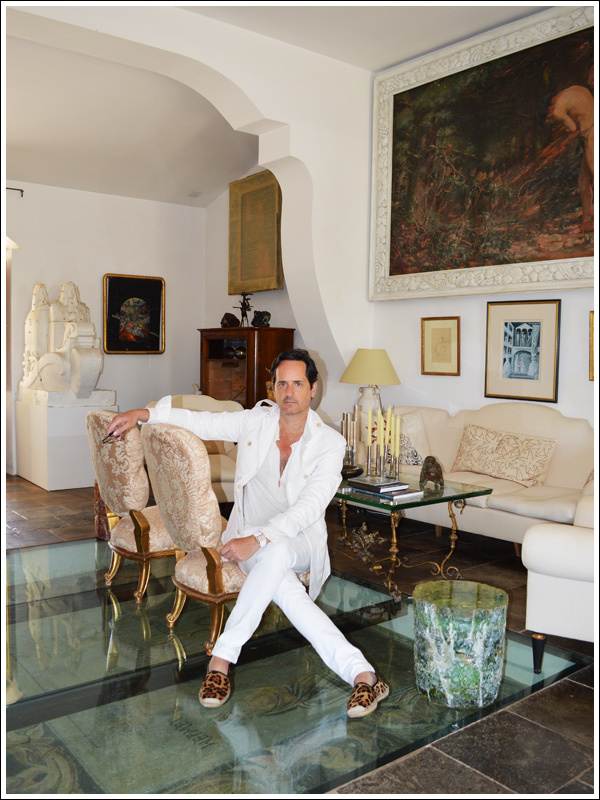 At the Jacque Garcia Resort in our gracious drawing room. 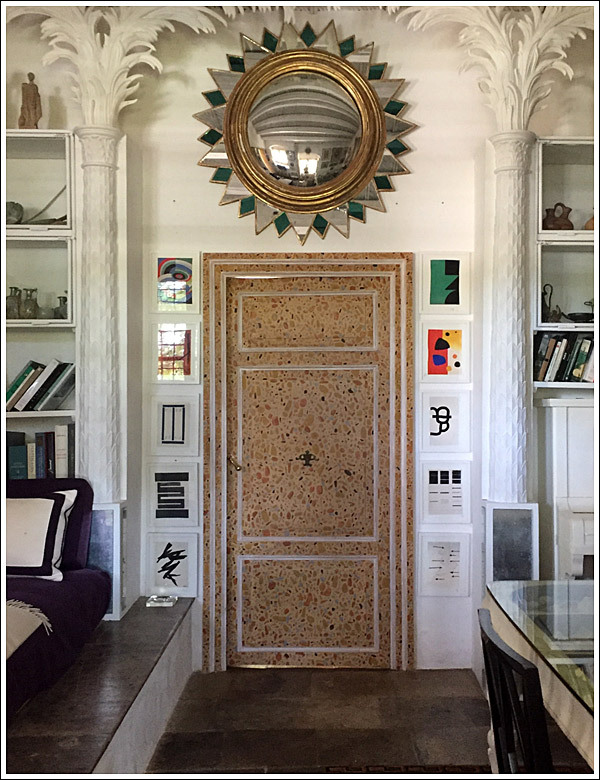 We had originally only planned one night in the vicinity of Noto, staying at a manor house that was around 45 minutes away. 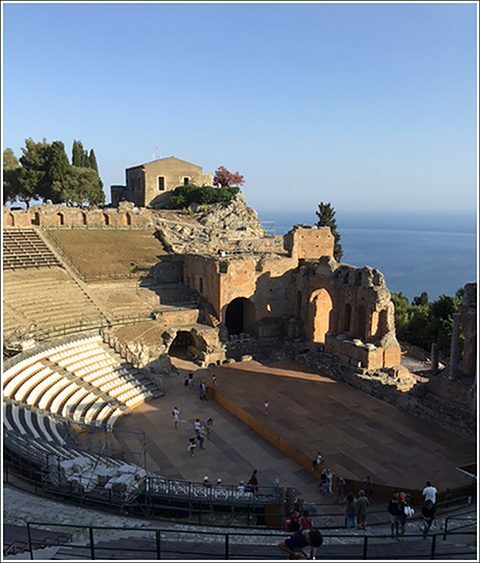 After running this plan by our friends William Brockschmidt and Richard Dragisic we changed our itinerary to include two nights in Noto and we reduced our time in Taormina to one night. Our friends also steered us to the Jacques Garcia Resort. We were quite happy to have received such valuable guidance as there is really so much to see in and around Noto – it contains the very best Sicilian Baroque and beyond – and the Jacques Garcia Resort is superb. Located just outside of Noto, the resort is a stone’s throw away from everything. 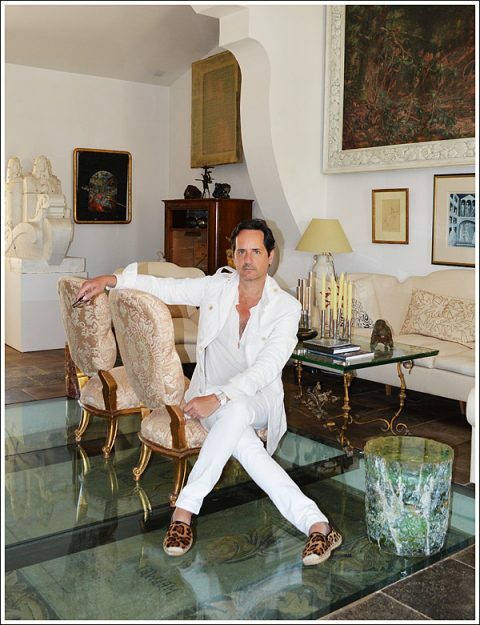 Jacques Garcia bought a large parcel of land there and has been refurbishing and converting the structures into private villas with pools. The villa where we stayed was actually Jacques Garcia’s personal villa while he was refurbishing a much larger villa for himself! Like all that Garcia does, it was an absolute dream, capturing the essence of the place with a poet’s sensitivity. 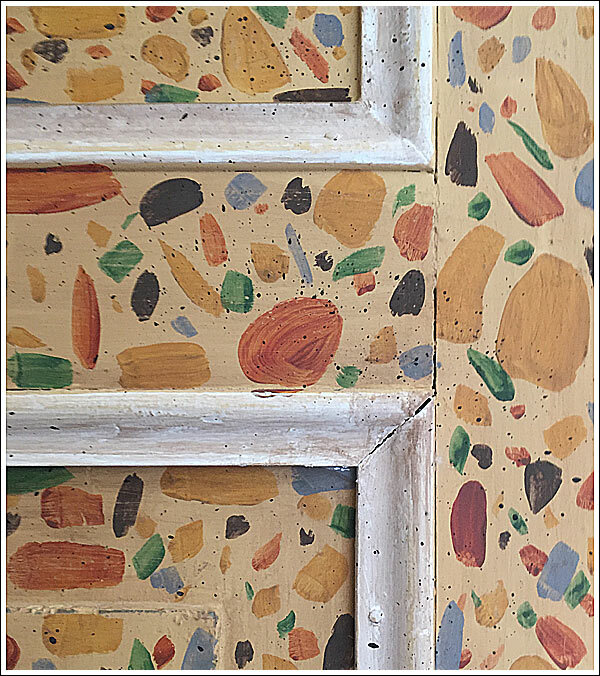 Painted doorway detail – Jacque Garcia resort. Our bedroom at the Jacque Garcia Resort. 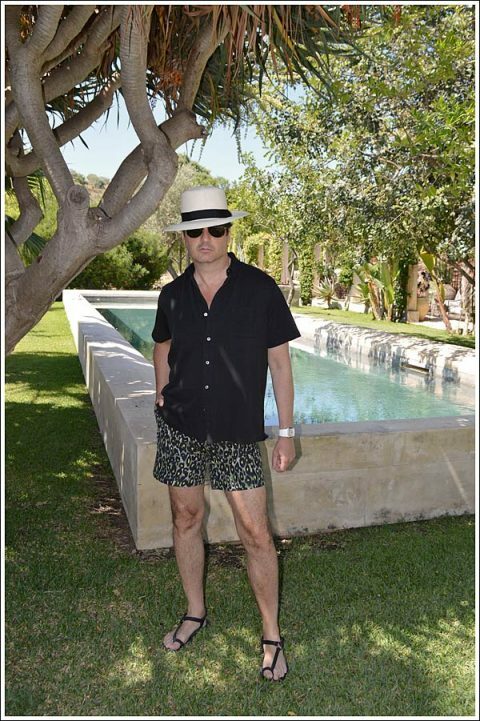 I generally like to stay at a hotel and enjoy the luxury of being served, but I have to say, having privacy in such an idyllic Sicilian setting was wonderful. We used the villa as our jumping off place to explore Noto, Siracusa, and Ortigia, but before all that, we spent an entire day just lounging poolside and blissfully disconnecting. James Andrew – Poolside at the Jacque Garcia Resort. We had a proper introduction for our visit to Baron Beneventano and his gorgious palazzo in Ortigia. After taking in the beautiful town, we headed over to the Palazzo Benevantano where we had gin and tonics on the balcony overlooking the piazza – a truly magical way to begin our evening! Dressed to visit Baron Beneventano – exploring Ortigia. There is certainly much more to see in Noto and the surrounding area than we had time for and a return to the Jacques Garcia Resort is now on our short list! 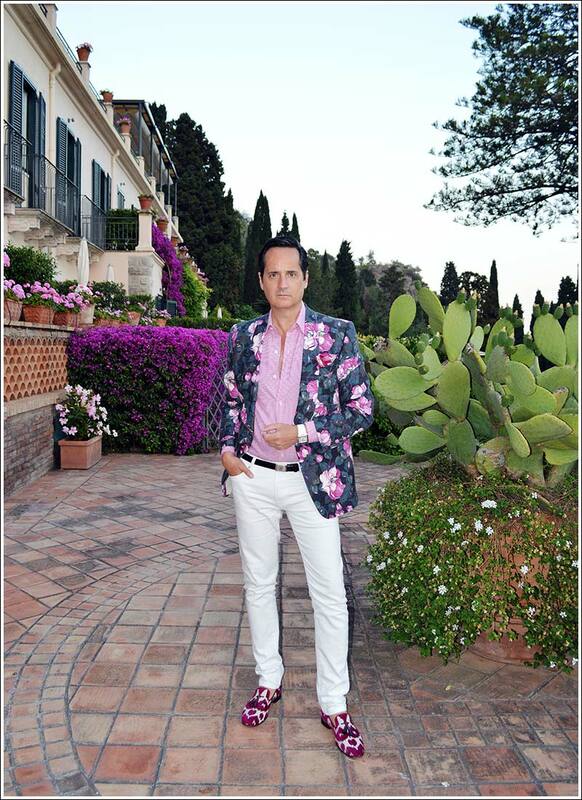 To visit the Baron Beneventano, I’m sporting a Tom Ford pink silk “Spencer” jacket, pink and white check shirt, fuchsia and pink silk pocket square, fuchsia pink velvet ikat slippers, Cartier Tank Divan, white Uniqlo jeans, KJP white cotton belt, and my fragrance is Creed Original Cologne. Agrigento was a most breathtaking drive from Palermo, particularly because our scenic route was laid out by Maria Carolina Castellucci who was invaluable in organizing so much of our trip! Our hotel, Villa Athena, is located right at the Valle dei Templi park, giving it tremendous views any time, day or night. The Hotel is an old manor house and could be rather fab with a proper refurbishment – I immediately had the room emptied of most of its furniture and was much happier with less clutter. The cuisine was so sublime and the staff very helpful! 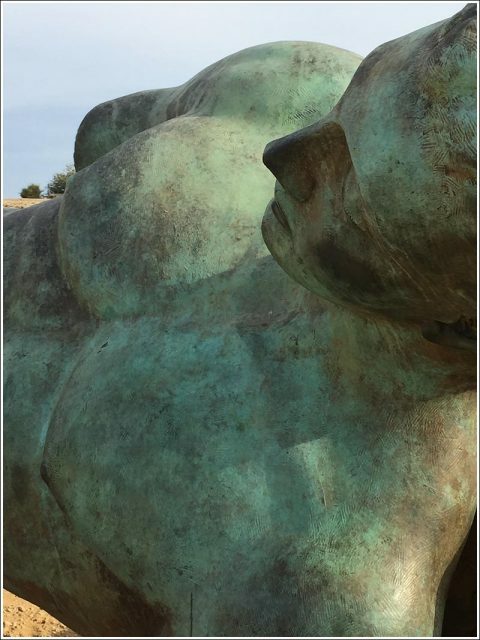 Relatively contemporary sculpture by Igor Mitoraj compliment the ruins at Agrigento. Hotel Villa Athena was the perfect spot from which to explore Valle dei Temple. We really took our time to explore every inch of these ravishing ruins. The 5th and 6th century BC temples here were dedicated to Olympian Zeus, Heracles, Concord and Hera. Needless to say, it is quite something to be amidst so much history. The proximity of the hotel made it an easy thing to have a leisurely breakfast, explore the ruins, come back for a relaxing lunch and head out again. Dinner provided views of the Temple of Concord all lit up at night after the most sensational sunset. The next day we were off at dawn – en route to Noto with a few stops along the way. 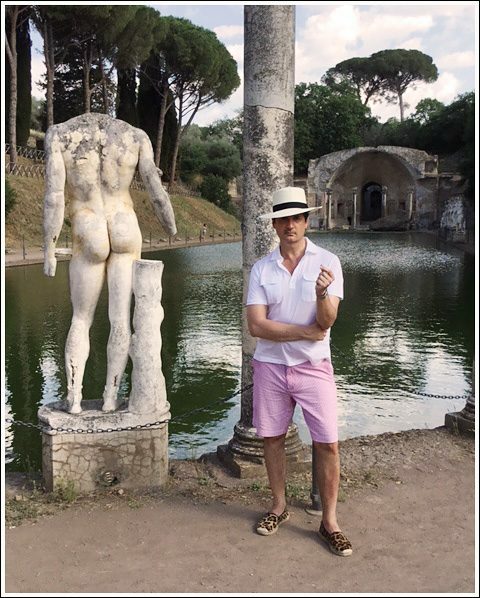 Our impossibly chic friend Antonio Sersale recommended that we visit Piazza Armerina and particularly the 4th century Villa del Casale. 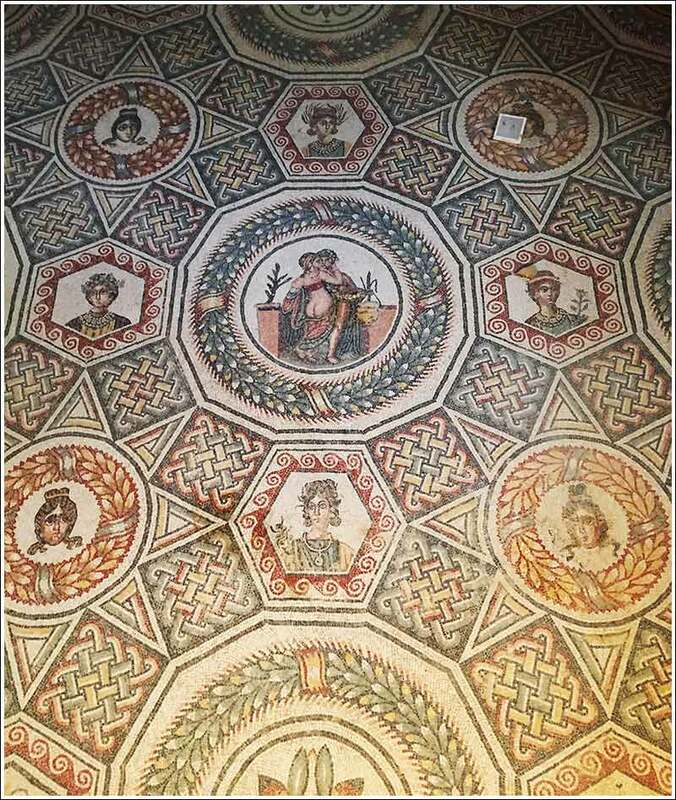 Every room of the estate is decorated with magnificent mosaic floors. 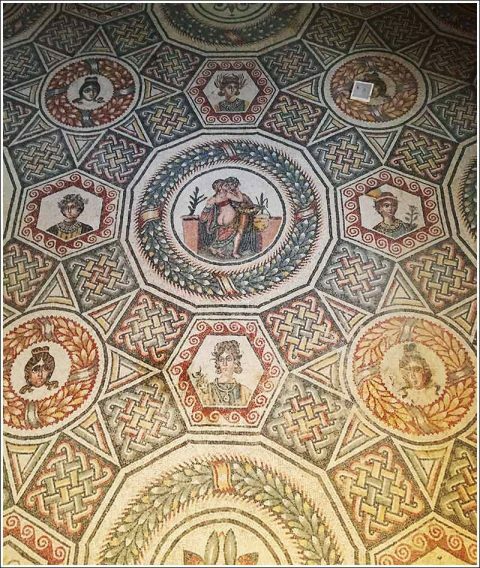 A flood in the 12th century buried the villa in mud, preserving the mosaic floors until they were rediscovered seven centuries later. While we visited with the Marchesa di Spedalotto she suggested we stop in on her son Vincenzo Paterno di Spedalotto who has an olive grove, Domus Olivae. We are so thrilled we did! We had a delightful time with Vincenzo and his wife and were given a tour of the manor house they have restored so perfectly. 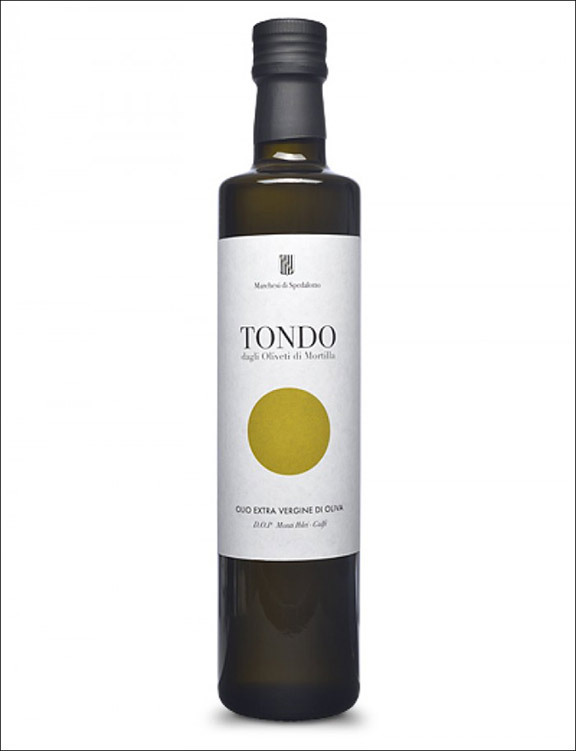 His award winning virgin olive oil, Tondo Olive Oil, is certainly the most delicious I have ever tasted. We can’t wait to return. Next stop: the Jacques Garcia Resort, Noto. For my exploration of Valle del Templi I am sporting my Lock & Co straw panama hat, Tom Ford era Yves Saint Laurent black cotton poplin banded collar safari shirt, white cotton shorts, a Kiel James Patrick belt, vintage Rolex, Louboutin sandal espadrilles and my fragrance is Tom Ford Neroli Portofino.